South Florida Celebrations on the Fourth of July! A list of celebrations across Miami-Dade, Broward, and the Florida Keys. If you are looking for live music, a Kids’ Zone, food and drink, plus one of the largest fireworks displays in the city overlooking Biscayne Bay, then this is a great place to be! The park opens at 10 a.m., with fireworks starting at 9:00 p.m. For more information click here. Love yoga, food trucks, live music, DJs, and fireworks? Then, you are in luck! This all-day festival begins with yoga on the beach at 9:00 a.m., food trucks arrive at 11:00 a.m., music starts at 11:00 a.m., and fireworks first launch at 9:00 p.m. For more information click here. To celebrate the city turning 90, the Biltmore Hotel will host a special celebration with a live concert, concessions, patriotic mascots, and fireworks! The grounds open at 5 p.m., the live concert starts at 7 p.m., and the fireworks show will begin at 9 p.m. For more information click here. If you are looking for activities for the entire family, live music, and a hot dog eating contest, then CocoWalk’s celebration has what you are looking for! The celebration begins at 12:30 p.m. and ends at 11 p.m., with the hot dog eating competition beginning at 6 p.m. For more information click here. A family event and a community tradition, this event will have live music, mechanical rides for children, food and drink vendors, plenty of games, and lots of fireworks! The event goes from 6 p.m. to 10 p.m. with fireworks starting at 9 p.m. For more information click here. The Aporella Aquatic Complex is throwing a Fourth of July bash with swimming, music, prizes, and fun! The party is a daytime event that begins at noon, and runs until 4p.m. This is event is great way to kick off your Fourth of July before dinner and fireworks! For more information click here. Want to witness fireworks on the water without the stress of finding a good spot on a crowded beach? Then this cruise is right up your alley! The Liberty Belle is a paddlewheel riverboat that will be sending off from the Hyatt Regency Pier. Bring your entire family to enjoy dinner, an open bar, dessert, and music while on the water! For more information click here. If you are looking to enjoy open space and march to the beat of your own drum, then take your lawn chairs and blankets and head to Vista View Park! The park is open from 8a.m and to 10 p.m. with parking on a first-come, first served basis and fireworks starting at 7:30p.m. The playgrounds and shelters will be closed, but the admission fee is good all day! For more information click here. Feeling a case of nostalgia for the 1950s? Then this event will provide you with that “old time” feeling you crave. Games include potato-sack races and hula-hoop contests. Dress in your favorite 50s outfit, and party to the tunes. This event also gives you the chance to participate in carnival games and visit with bald eagles in the Everglades Wildlife Sanctuary! For more information click here. Family Fun Day will feature bounce houses, rides, a climbing wall, arts and crafts, youth entertainment, swimming, games, and food trucks! Free cake will be served, and live performances will add to the fun! The fireworks begin at 9 p.m. For more information click here. 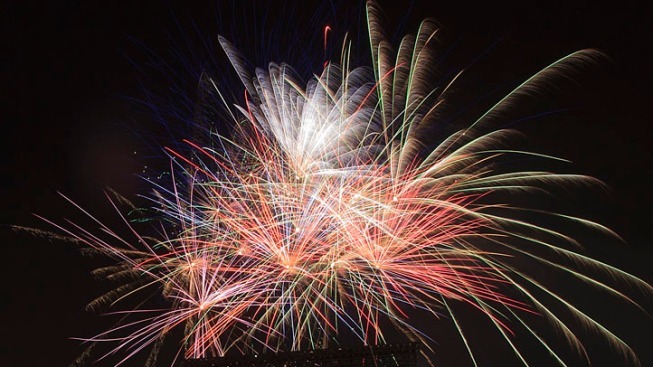 Celebration starts at 6 p.m. with fireworks at 9 p.m. Miami Food Trucks will be serving up gourmet style cuisine plus lots of exciting activities and entertainment. For more information, click here. This event is free for families! Come celebrate on Saturday from 7 p.m. to 9 p.m. at 16801 Miramar Parkway. This event will include food for purchase, a kid zone, a live DJ and of course, fireworks. Bring lawn chairs, blankets and bathing suits for the kids! Park exits will remain closed for 15 minutes immediately following the fireworks show. For more information, click here. For one of the Keys' largest and longest fireworks displays, families gather for a full day of activities in Marathon. A patriotic parade begins around 11 a.m. The parade ends on Sombrero Beach, where a daylong celebration will feature food, drink, kids' crafts and entertainment. The night will end with after dark fireworks! For more information click here. Hosted by the Village of Islamorada and the Upper Keys Rotary Club, the event features entertainment, food and drinks for kids, teens, adults, and even dogs! The party starts at 6 p.m. and ends at 9:30 p.m. with a fireworks show! For more information click here.